If you’ve been holding off from holiday shopping waiting for the sales or a good offer, today seems to be as good as any for The Cthulhu Hack (and more). At LULU, if you input codes NIGEL35 and 15MAILNOV (in that order) you can stack 35% off and free shipping. If you add in a few choice OSR items, you can really make the most of this – which pretty much represents the best offer LULU make these days. These codes appear to work in UK and US, so you should give it a go – and make sure you enter the codes in the order shown for them to stack (they don’t stack if you enter the free shipping code first). At REDBUBBLE, the code GIVEAGIFT20 will give you 20% off everything. 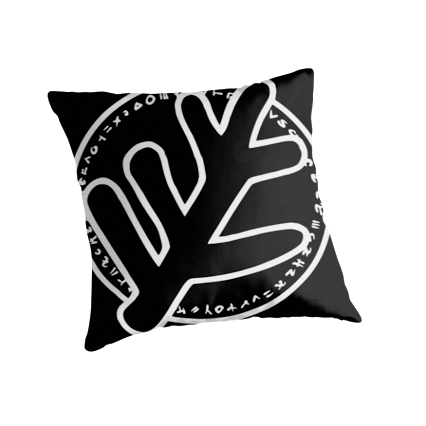 So, if you have been holding back on getting a couple of Elder Sign Throw Cushion covers and a Cthulhu Hack Graphic T-Shirt, now looks to be as good a time as any!